Think of a reference guide as an instruction manual for life's tasks. 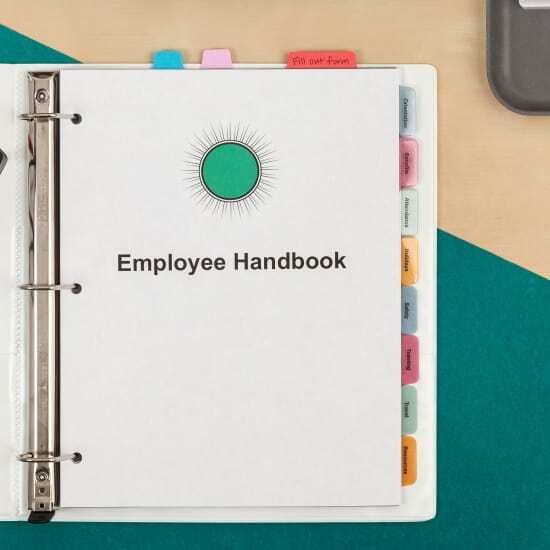 Whether it's an employee handbook or training manual, it's there to provide useful information on the spot. It should answer questions and help solve problems. And your users are going to think it’s amazing. The perfect reference guide is easy to use, interesting to read and full of valuable info. How? It's simple. Know your audience (the people who will be using your guide), and give them exactly what they want. Here are some tips to keep in mind when you’re putting your guide together. Collect information for your guide that's accurate, up to date and relevant. Just because there's a lot of content available doesn't mean it belongs in there. Do some research into what your user wants to know by asking them questions, doing a survey or conducting interviews. You will see frequently asked questions start to pop up. 2. Make the information easy to find. Users are looking to quickly access the information they need without hunting it down. So make it easier for them by organizing your information into sections and placing them in a binder. Use dividers for your sections and label them on both sides so it’s easy to flip to sections whether you’re looking at the front or the back. Then, add a table of contents at the beginning of your guide. Call out individual pages that need attention with self-adhesive tabs. Flag forms that need to be filled out, important schedules and other information that users may turn to often. Do a read-through to make sure it's easy to understand and skim-friendly. Add headings and subheads so the user can skim the content on each page. If something catches their attention, they will read the details underneath. Be clear and to the point with your explanations. 4. Keep the user's interest. Make the content more digestible by presenting the information in bite-sized chunks. Provide examples, and consider common scenarios a user may experience. Visuals can also help to break up blocks of words, so consider including images, infographics and graphs. 5. Give it a test run. After you've put together a draft of your reference guide, review it to make sure it contains exactly what users would expect to find, in a way that's most helpful to them. You might also want to ask a few colleagues to review and provide feedback. Then fine tune your guide, and get ready to launch!